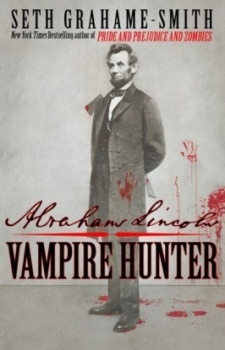 The film adaptation of the 2010 novel is looking for its Honest Vampire-Hunting Abe. 20th Century Fox Has been trying to cast Abraham Lincoln: Vampire Hunter since November of 2010, and some of their top picks have recently come to light. In what Deadline calls "a very interesting mix of semi-knowns and unknowns, stage and screen vets," the frontrunners for the role of Abraham Lincoln are James D'Arcy (Secret Diary of a Call Girl), Adrien Brody (The Pianist), Oliver Jackson-Cohen (Faster), Josh Lucas (Hulk), and Benjamin Walker (Flags of Our Fathers). The story retcons the life of the 16th President of the United States to include his obsessive skill for killing vampires. Author Seth Grahame-Smith (also of Pride and Prejudice and Zombies) adapted his novel for the film, and had the script written before the project was up for bid from production studios. Vampire Hunter was the subject of a furious auction in Hollywood, with such studios as Paramount, Sony, Summit, and Universal all vying for the rights to the material. Deadline reports that, "Fox wanted the project so badly that when the filmmakers came onto the lot, the studio had bloody axes and bloody footprints strewn about, and arranged for a bugle player in a Confederate uniform playing 'Taps' to accompany them to the meeting with studio executives." Timur Bekmambetov (Wanted) is set to direct, and Tim Burton is on hand to produce. The film will be released -- in 3D, of course -- on June 22, 2012.